So there was a recent episode on Jane the Virgin (episode 206, chapter 28) that highlighted plagiocephaly (Thanks Jessica for sharing!) They correctly demonstrated a common cause that new mothers are not aware of. The acting pediatrician also recommended corrective helmet therapy to improve the flattened head shape. There was NO SUGGESTION given to the parents about preventative and corrective pediatric physical therapy! How are the new parents supposed to know how to prevent the flat spot from re-occurring? Or to prevent a new one from forming once the helmet is removed? How are the new parents supposed to know how to attain age appropriate head control and muscle endurance in the tummy time position? How are they to know all the different ways to do tummy time and for how long, in order to reach their goals for their infant? How are they to know if there are assosicated developmental delays and how to improve them? A recent article shared with me by Dr John Graham Jr. of Cedar Sinai indicates a strong correlation between infants that develop positional plagiocephaly and onset of gross motor developmental delay. The article urges all pediatricians to let parents know of the benefits of preventative intervention, which parents can easily learn from a licensed pediatric physical therapist. I am happy to see we are stepping in the right direction but it is clear that there is still a huge lack of awareness about the topics of plagiocephaly, torticollis and motor delays in infants. In the meantime, here is the video clip! November 21, 2015. Tags: flat head, flat head syndrome, jane the virgin, pediatrician, physical therapy, plagiocephaly, positional plagiocephaly. Media Spotlights. Leave a comment. January 15, 2014. Tags: Pediatric Physical Therapy, physical therapy, santa monica, Torticollis. Uncategorized. Leave a comment. Congenital head & neck challenges can be detected by a PT specialist as early as the first day of life. However, infants with a head & neck challenge typically don’t show obvious signs until 3 months of age. Such signs are a positional favoring such as turning or tilting the head one way more than the other way. The most obvious sign frequently seen at 3 months of age is a developing flat spot in the back of the head. If left un-treated, this flat spot can worsen pretty rapidly to the point of requiring use of a pricey, corrective helmet to improve the head shape. More and more pediatric specialists are now recommending the Early Head Start program to identify infants at risk, prevent or correct head deformation, and correct the root cause of the neck challenge within the first 6 months of life.There are several markers that place a newborn at risk. Knowing these signs allow Pediatricians and new parents to screen for risk and follow the Early Head Start 3-step program, if warranted. Such signs are: a clear favoring turning his/her head one way, tilting his/her head to one side, or a developing “flat spot” in the back of the head. These signs are most obvious when the infant is asleep in a car seat/ stroller, or when the infant is tired or not feeling well. Sometimes, parents notice these signs before the physician does, and when brought up with the physician, are instructed to alternate head position during back sleeping. Traditionally, parents are also given a handout on a couple of neck stretches to do at home. If parents are not successful with their attempts to follow the handout, they are then referred to a physical therapist for proper instruction. Today, parents are referred directly to a PT specialist for successful early intervention, thereby minimizing head deformation, need for a costly helmet, need for extensive physical therapy and/or need for invasive measures such as surgical release of the tight muscles. The Early Head Start program is designed to detect newborns & infants at risk, identify the cervical muscles involved, and initiate the steps to full correction and recovery. Step #1: Early identification allows for early intervention. Step #2: Early intervention prevents head deformation, tighter neck muscles, and habitual favoring. Step #3: A course of physical therapy will help to ensure complete resolution within the narrow window of time available for full correction, should an infant already exhibit head & neck challenges. The bottom line: The Early Head Start program saves families hundreds if not thousands of dollars in medical expenses, ensures healthy head and neck development, full range of motion, strength, normal symmetry, and promotes age-appropriate gross motor skills. Unusual positioning in utero or lack of adequate space in utero, especially during the last trimester, is a common marker for risk. The most popular examples include: breeched positioning, diagonal positioning with head down under pelvis, multiple births, first time Mom (possible small uterus), and baby has a larger than average head size. Another common marker is a traumatic birth. Popular examples include emergency C-section, cord wrapped around neck, vaginal delivery with a very long labor, baby getting stuck in vaginal canal, use of a vacuum or other aggressive means to remove baby. A premature birth followed by a stay in the NICU, can also be an identifying marker for a congenital head & neck challenge. Lastly, if your baby appears to have a strong dislike toward tummy time, especially after the age of 3 months, there is a chance that he or she has a congenital head & neck challenge. Receive instruction and tips on (1) how to alternate head position during naps and sleep time to prevent flattening of the back of the head, (2) how to introduce and build up daily tummy time for symmetrical neck and back strengthening, (3) how to maintain a symmetrical head position, especially when in a carrier such as the car seat or stroller, and (4) recommended tools such as car seat head positioners and sleep positioners, to make your efforts easier. A course of physical therapy (PT) is the best conservative approach toward full correction. The ideal age range to start PT, which yields the best prognosis for full correction of a head and neck challenge, is between 8 weeks to 16 weeks old. If a baby has unaddressed head & neck challenges greater than 32 weeks, the window for full correction is significantly narrowed and the likelihood of a longer PT program and need for helmet therapy is higher. On average, full correction of the underlying cause can be achieved within 4 to 12 sessions. More may be needed, depending on the severity of your baby’s condition and the success of the instructed home program. A PT program entails neck stretches for tight muscles, strengthening exercises targeting weak neck muscles & back and core muscles, manual therapy of soft tissue and joint mobilization, and age-appropriate gross motor activities to maintain and improve upon symmetrical body balance and strength. A tailored home program will also be given on the first visit and modified as your baby progresses through his or her PT program. 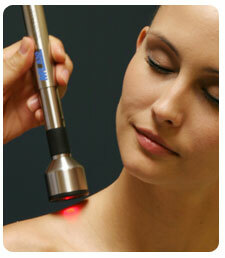 *For more information, please visit our website: www.BabyTherapySolutions.com. If your baby has not been screened for a potential head & neck challenge and you would like our professional opinion, please contact us regarding our 15 minute complimentary screen. If you have been told by a physician or other infant healthcare provider that your baby has a positional favoring or developing flat spot, we recommend a PT initial evaluation as soon as possible. Please call to discuss details of this evaluation and schedule an appointment. Your pediatrician will get our report of findings and the next step, if any is required, will be determined. 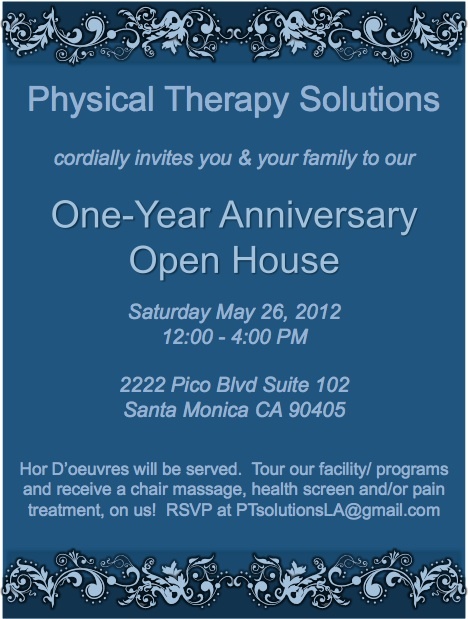 Physical Therapy Solutions is located at 2634 Wilshire Blvd, Santa Monica CA 90403. (O) 800-507-2634, (F) 310-774-3652. Copyright © 2010. Physical Therapy Solutions. All Rights Reserved. Any duplication of this material without written permission is prohibited. April 9, 2010. Tags: Head and Neck Development, helmet therapy, Pediatric Physical Therapy, Pediatric Physical Therapy Los Angeles, Pediatric Physical Therapy Santa Monica, Pediatric PT, Pediatrics, physical therapy, Physical Therapy Los Angeles, Physical Therapy Santa Monica, Torticollis. Early Head Start. 3 comments. Dr. Flores: Deanna, thank you for interviewing with us today and for taking the time to share your interesting story. We support you in your efforts to raise awareness of un-resolved congenital muscular torticollis (CMT) and its impact on adults. We can only hope that parents who have an infant or toddler with a head and neck challenge will take from your story and make the best decision possible for their child. With this in mind, how old were you when you were diagnosed with CMT and what were the physical signs? Deanna: I really don’t know how old I was at diagnosis but I was always told, simply, that I was born with it. I have a baby picture where I was about 4 months old & the torticollis & facial asymmetries were obvious. The right side of my face is still rounder & fuller than the left side, resulting in a ‘C’-shape curve to my entire face. My left eye is lower than my right eye. My ears are uneven. My teeth are off-kilter from my smile. I have always tilted to the left. Dr. Flores: What types of intervention and formal treatments did your parents have you do? Deanna: I don’t believe I ever did a course of physical therapy or cranial sacral therapy as an infant or toddler, and I am not sure why. My parents were told that my condition was not a big deal and many said that it would resolve on its own. Unfortunately, my condition did not resolve on its own. At the age of 13, I had to undergo the SCM (sternocleidomastoid muscle) release surgery. I only recall one appointment with the surgeon prior to surgery, and one appointment afterward where they taught me two stretches and that was it. Unfortunately, that was the extent of the post-surgery physical therapy care I received. I feel that I did not have proper follow-up care and therefore feel like the surgery was not as helpful as it could have been. Dr. Flores: Do you still have symptoms of torticollis today, and if so, what are you doing to minimize or correct it? Deanna: Yes, I still tilt to the left. I can’t look fully over my left shoulder compared to the right; its 3/4ths of the full range. I have trained myself to sleep with my head tilted to the right, or on the cheek on my torticollis side (head turned to the left), hoping that it helps stretch the muscle out in the middle of the night. During the day, I try to be conscious of holding my head straight so that my eyes look less crooked as I work and go about my life with my family. When I hold my head straight, it doesn’t feel like its straight; it feels like my head is tilting the opposite way past the center. Regarding formal intervention, I have been researching to see if there are any treatments I can do right now to resolve my CMT. I believe I have scar tissue build up in the area I had surgery and wonder if anything could be done now to improve it. I have been to my local physician to try to get a referral to a specialist, with no luck. I am trying to decide if I should pursue physical therapy on my own to see if it will help or talk to a surgeon that does the SCM release procedure, to see if another release, followed by proper physical therapy, is worth considering. Dr. Flores: Did the torticollis pose obstacles in your life growing up? Do you have any obstacles now? Deanna: Absolutely! Growing up, I was made fun of constantly – which made me very shy, even afraid. I was ridiculed with nicknames that followed me from grade school to high school, and I still feel like people look at me funny. I rarely look anyone in the eyes, because I don’t want them to see how crooked my face is. I feel like I have to exert extra effort to have people look past my physical appearance and focus on my personality or intellect. I have a hard time accepting a compliment that I look nice. I almost never have my picture taken, because I hate how it looks, which is sad because I’m not in very many pictures with my kids growing up. Currently, I am content just being with my family. I am a wife and a mom of two beautifully perfect girls. I count my blessings as I know that there are plenty of folks that have worse problems than I do. Dr. Flores: Based on your own experience growing up with CMT, what advice can you give to new parents? Deanna: This may sound simple, but my advice is, learn everything you can about it. Go with your gut instinct. Don’t just passively take the doctor’s word if he/she feels that there’s nothing that needs to be done. It’s OK to get a second opinion and/or an evaluation by a head & neck physical therapy specialist. As a parent, do everything in your power to make sure your kids grow up normally. Dr. Flores: In your opinion, what is the best method of identifying early signs of CMT, addressing it, and correcting it? January 12, 2010. Tags: adult torticollis, babies, head and neck, infant torticollis, Pediatric Physical Therapy, Pediatrics, physical therapy, plagiocephaly, positioning techniques, Torticollis. Newsletter Spotlights. 49 comments. Testimonial 1: 6 mo old graduates from PT after 4 visits! We received a referral this past September from a local Pediatrician in Santa Monica. A 4 month old baby girl was showing signs of left head flattening and Mom wanted to know if she will need a helmet or not. Our evaluation revealed a left tilt favoring between 0 degrees (normal) to 5 degrees. Little Maggie* also did not demonstrate an ability to actively tilt her head to the right past midline. Her head flattening was moderate and to the left back side. The muscles on the left side of her neck were alot tighter than the right. All of this evidence pointed to what her Pediatrician concurred to be a diagnosis of moderate left plagiocephaly with left tilt favoring. Maggie was seen for physical therapy every two weeks for the next 3 visits and then again after a month for her 4th and final visit. Maggie did get the helmet a week after her evaluation, which Mom states was the best decision she and Dad could have made for her. At her second PT visit, Maggie was already demonstrating signs of improvement: she kept her head midline (no tilt favoring noted) and she could actively tilt to the opposite side. Her primary limitations at this point were: still limited right cervical rotation and limited age-appropriate prone motor skills. During the third visit, Maggie’s head shape was improving, she continued to keep her head midline, she finally had full normal cervical rotation both ways, and she demonstrated imiproved prone motor skills. In addition, she was learning to sit up independently and mom was thrilled. During her 4th and last visit, Mom reported that she only had a couple more weeks in the helmet before her head shape was normal. Mom was happy to share she no longer saw any differences or favoring. Maggie was sitting up by herself now, and her prone motor skills were right on track! At that point, we all agreed that Mom and Dad were able to continue with a home maintenance program and that Maggie no longer needed physical therapy. Although it is not common to see infants with complete resolution of head & neck asymmetries after just 4 physical therapy visits, it’s always a blessing to experience and be a part of. My professional opinion of Maggie’s cause for her head flattening is a mild case of one sided neck muscle tightness, which is formally described as congenital muscular torticollis. 1. Maggie initiated PT within the first quarter of life (at 4 months old vs. 8 months). There is a strong correlation between early intervention with head & neck challenges and minimal therapy time. The sooner any favoring is detected and addressed, the sooner the resolution. 2. Maggie’s parents were extremely consistent and successful with her daily home program of stretches, positioning and strengthening exercises. 3. Maggie’s condition of neck muscle tightening was mild, and although her head flatness was moderate, she was still young enough to have more time for correction. December 10, 2009. Tags: head flattening, helmet therapy, physical therapy, plagiocephaly, Torticollis. Testimonials. 2 comments.